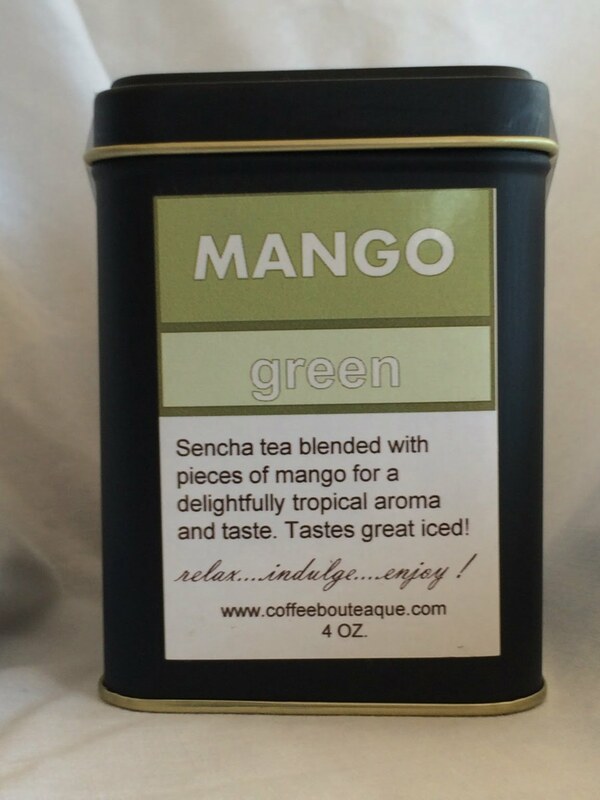 Sencha green tea blended with pieces of mango for a delightfully tropical aroma and taste. Makes an excellent iced tea. 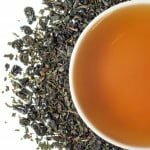 Green teas are almost completely non-oxidized and therefore have gentler flavors, a lighter color and when brewed properly, less caffeine. Green tea should be steeped with considerably less than boiling water. We recommend a water temperature of 180 degrees for approximately 2 minutes and no more than 3 minutes. The same leaves can typically be brewed multiple times. Sweet, smooth and summery. Those are your first impressions when you sip this sencha based green tea. 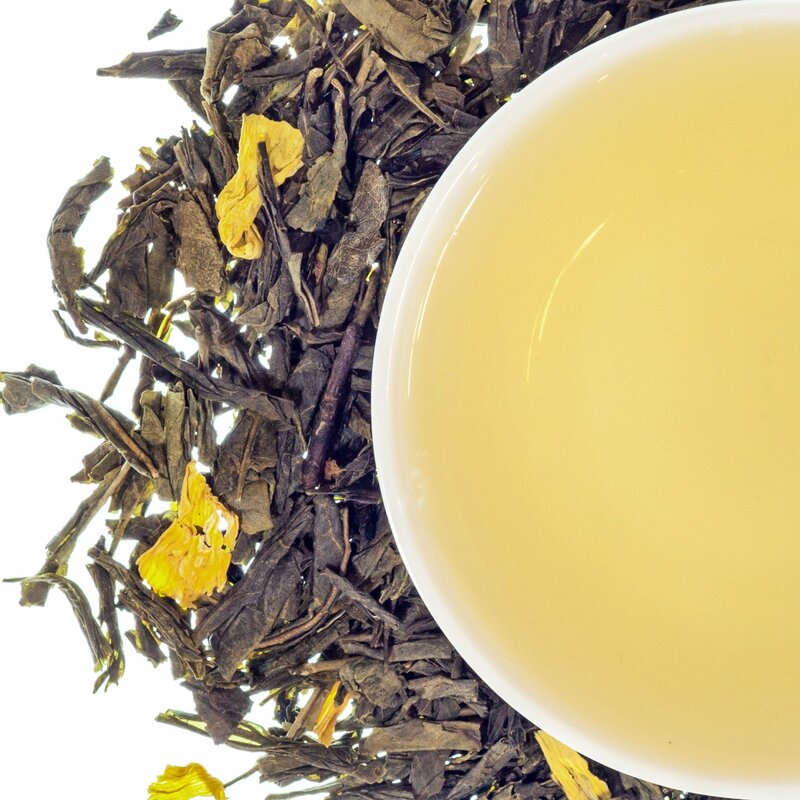 The aroma of fresh mango’s rises from the steeped cup, and the tea itself is smooth, sweet and silky and brings to mind tropical breezes on desert islands. 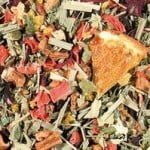 This tea is wonderful when made hot and incredible when made iced. Contains green tea, mango flavor and sunflower blossoms.